Conversation about the future of the connected automotive industry has been accelerating at pace and will continue to do so throughout the rest of 2018. Li-Ke Huang, Research and Technology Director, VIAVI Solutions examines the level of network testing required to safely facilitate driverless cars, and what operators must do to prepare their networks to navigate the road ahead. Driverless cars are becoming an almost daily news topic, as buzz around the much-vaunted autonomous future of transport continues to intensify. Trials and tests of the technology are taking place across the globe to varying degrees of success, as stakeholders jostle for a place on the starting grid of this exciting and potentially lucrative technology. Interest and investment has gained momentum thanks to the media, car manufacturers, data scientists, technology developers, telcos and operators, regulators, governments and chipset providers. The potential benefits of driverless cars are huge, but the industry must stringently test networks to ensure we move into the next gear without stalling. Business cases and monetisation opportunities are wide-ranging; from efficiencies in logistics and fleet management to robotic taxis. Autonomous vehicles could also revolutionise search-and rescue missions, entering dangerous environments without jeopardising the safety of a driver. Scenarios could include identifying and rescuing victims from natural disasters like floods and hurricanes, or traversing unstable infrastructure following an earthquake or bombing. The combination of new technologies could also see a transformed public transport system take shape in cities around the world. Anonymised user data can create a real-time picture of public transport use, and allow driverless taxis and smart buses to know where and when to deploy and assist with demand. 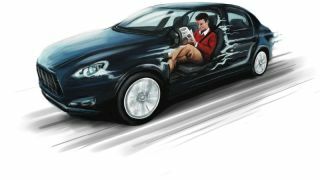 The introduction of driverless cars into everyday life will bring a number of benefits for businesses and consumers. However, away from the noticeable benefits in convenience and efficiency, the most important and often touted of these benefits is in safety. Across the world 1.4 million people die in car accidents every year and human error plays a role in a sizeable proportion of those incidents. Automation can help put an end to poor judgement and distracted driving through the use of fully alert sensors, providing of course, that the connectivity to support them is robustly tested. It is these safety benefits that have led to politicians investing hundreds of millions of pounds into driverless vehicle projects, but before driverless cars can hit the road and these benefits can be realised, a number of challenges will need to be overcome. Today, even the most technologically advanced cities aren’t fully prepared for driverless cars and there are plenty of literal and figurative speedbumps to overcome on the road to a driverless future. The UK has the robust legal framework and insurance to support driverless cars, yet at present the required technology is lacking. Things like road condition and potholes can create challenges for driverless car technology, which relies on clear road markings to distinguish lanes and obstacles. Perhaps the biggest obstacle to overcome though, is end-user trust – and connectivity plays a big part in building the necessary confidence for drivers to take their hands off the wheel. We can already see how mobile connectivity is driving innovation in the automotive sector. Features like navigation systems which provide additional traffic information are appearing in many new models, and emergency call functions will soon be a required feature for every new car in Europe. Car owners have learned to trust technology such as vehicle backup cameras, lane departure assists, and blind spot detection, all of which build a new relationship between car and driver. Some features like auto-pilot have become normal on the motorway, allowing drivers to briefly rest a foot, however handing over any more control to an AI-fuelled vehicle is a big leap of faith, and one which many drivers are not yet ready to take. Over the past few months, consumer trust in the concept of self-driving cars has been strained as a result of some high-profile and fatal crashes. Current technological infrastructure is being put under massive strain in order to enable the future of transportation, and improvements to networks are needed. Autonomous vehicles require a wide range of sensors designed to substitute our eyes and ears. These sensors generate massive amounts of data that needs to be communicated to other vehicles and the surrounding infrastructure. This data must then be communicated in real time to allow vehicles to make the split-second decisions needed to ensure passenger safety. All of this data is a huge strain on networks, and some estimates suggest a minimum data throughput level of 1Gbps is needed in order for driverless cars to work seamlessly with the world around them. By way of comparison, and to illustrate how far we need to go, some current 4G networks in the UK offer download speeds of around 20Mbps. Confidence will rely on tried-and-tested high-speed connectivity, but driverless cars won’t become a reality until fully functioning 5G networks have been deployed. While current 4G is fast enough to upload pictures, share locations or update statuses, it doesn’t afford driverless cars the human-like reflexes needed to react to real-time events and prevent accidents. 5G will be the most significant data network advancement to date, promising to connect a seemingly endless multitude of devices, whilst offering ultra-reliability and low-latency. This means that 5G can offer split second response times, whilst eradicating any chance of error, which could prove fatal. The same volume of resources invested into the latest car technology must also be invested in testing next generation 5G networks and the protocols which will connect driverless cars. This is a substantial undertaking that will require thorough testing to ensure recent safety incidents aren’t repeated and driverless cars are ready for large-scale roll-out. Telecommunications networks must be committed to regular testing by respected benchmarking companies. The scale, density and complexity of testing how a network would cope with hundreds of driverless cars in a real-life scenario, is almost impossible. As such, market R&D efforts have moved towards virtual network testing, which can emulate up to a million driverless cars on a network to validate its performance. This includes cars moving at different speeds and in different directions in relation to network base stations. Every single test scenario needs to be emulated, so a (virtual) city of thousands of cars can be cost-effectively and safely trialled and improved. Simulators are also being developed that can support multiple simultaneous 5G air interfaces which are compatible with various wireless standards, including 3GPP’s 5G New Radio (5GNR). Network slicing – an emerging but key area for R&D – also marks a fundamental step on the road to commercialising driverless cars. Network slicing involves dividing a network into different virtual ‘slices’ to best suit the needs of a specific 5G use case. Driverless cars will be one use case and ‘slice’, though within this there will be additional sub-slices dedicated to different kinds of traffic. For example, the car receiving safety-critical navigational information at the same time as passengers streaming 4K videos. Network slicing will make it possible to prioritise the safety critical data over the leisure activity of streaming videos. Allocating network resources in this way also means that essential processes and data exchanges in an autonomous vehicle wouldn’t be affected when it drives through a built-up area or a congested stretch of road (where there may be many other devices and people using data-heavy applications). Having a network which is unaffected by the latency and capacity of others will also support vehicle-to-infrastructure communication, allowing a driverless car to respond to things like traffic lights, as well as communicating its position to its surrounding environment. Without such testing, telecommunications companies will not be able to identify gaps and inadequacies in their services, nor will drivers, governments and insurance companies be completely confident in the safety and benefits of autonomous vehicles. Filling the world’s roads with driverless vehicles will signify a giant leap towards the tech utopias seen in Hollywood movies for years. However, before we pull up on the future’s driveway, governments need to ensure their roads and networks are ready. The viability and success of autonomous vehicles will be entirely dependent on the availability of agile, reliable and widespread connectivity. Without it, these vehicles will be unable to effectively communicate with one another and their surroundings. 2018 has already proven to be the year in which smart cities and smart vehicles move to the forefront of industry discussion. Vendors and operators may not have all the answers about how driverless cars will advance yet, but continued testing will help pave the road to the future.